Ken Price Sculpture: A Retrospective | This sculptural retrospective honors the late artist's creativity, originality, and revolutionary art practice. For more than 50 years, Ken Price, born in 1935 in Los Angeles, Calif., created remarkable and innovative works that have redefined contemporary sculpture practice. Price procured a cult following among critics and scholars since the 1960s, including Lucy Lippard, who declared in 1966, "It is a fact rather than a value judgment that no one else, on the east or west coast, is working like Kenneth Price." Price's work has been much talked about, though not widely exhibited until relatively recently (and then only in group shows or in commercial gallery presentations). 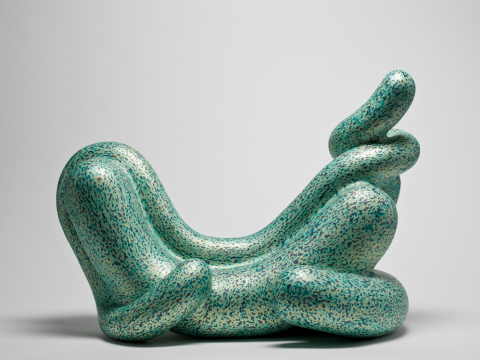 Ken Price Sculpture: A Retrospective traces the development of Price's sculptural practice from his luminously glazed ovoid forms to his suggestive, molten-like slumps, positioning him within the larger narrative of modern American sculpture. 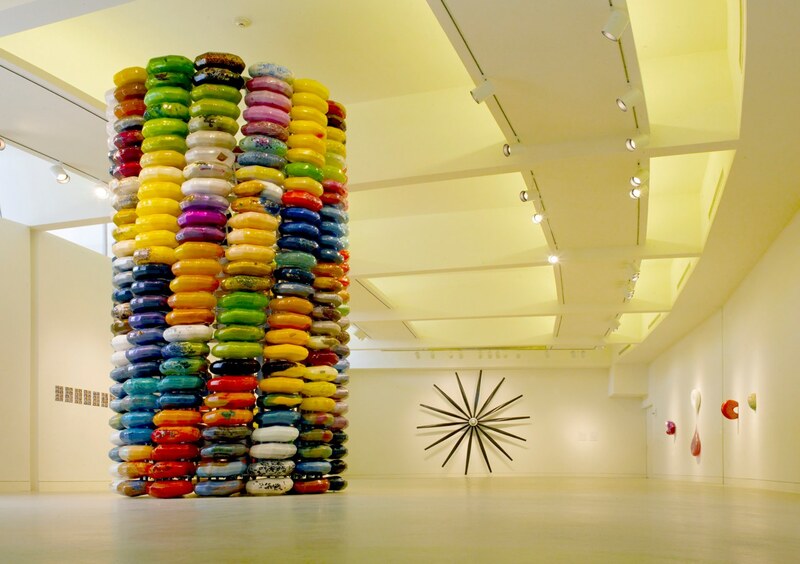 This sculptural retrospective honors the late artist's creativity, originality, and revolutionary art practice. Eric Johnson: Monochromicorn | Johnson's work does not fit neatly into the traditional classifications of resin-based California art, though the Finish Fetish movement best describes his studio practice. In addition to several ambitious new works by Johnson, William Turner Gallery will be exhibiting the monumental, conceptually based sculpture entitled The Maize Project. This piece has never been exhibited in a gallery setting and was previously on display at the Torrance Art Museum. During the course of the exhibition Johnson will grant several individuals the honor of collaborating with him on the Maize Project. His other works on display examine themes that are particularly relevant in this political season such as campaign finance reform and alternative energy sources. 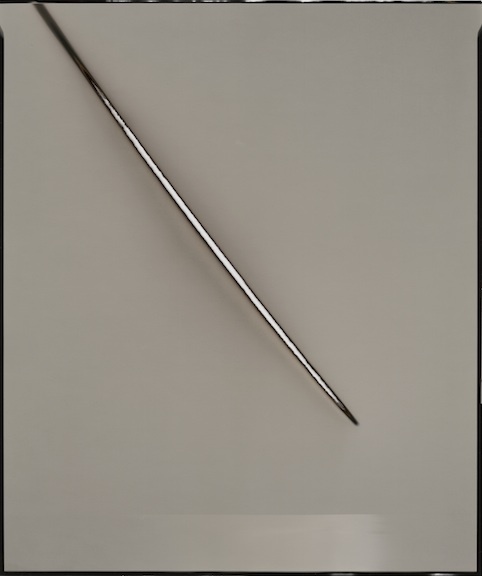 Chris McCaw: Heliomantic | On display for the first time, the one-of-a-kind photographs include large-format 30 x 40 prints. McCaw shoots with large-format cameras (8 x 10, 16 x 20, or 20 x 24 inch), which he builds himself. Each unique images is made as McCaw's camera lenses capture and intensify the sun's rays, which often burn a path across the paper. McCaw explains: "When the conditions are right, the burning goes all the way through the paper base. The subject of the photograph reverses through solarization, and the unique paper negative becomes a one-of-a-kind paper positive... not only is the resulting image a representation of the subject photographed, but the subject, the sun, is an active participant in the printmaking... both creating and destroying the resulting photograph." The images-subtle, elegant, and even slightly ominous-invite close scrutiny. The minimalist skylines or horizons, where visible, evoke the transitory nature of the elements in the locales where McCaw chooses to photograph: the desert, the sea, or the mountains. 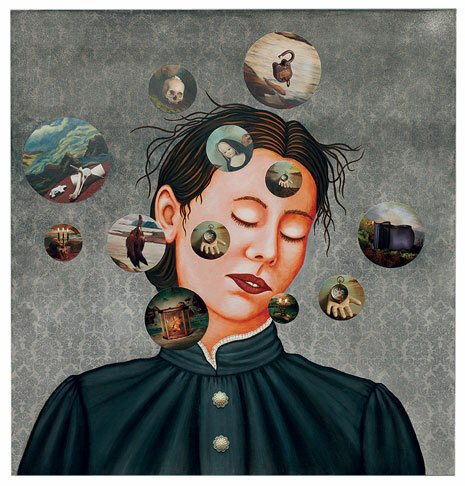 Lezley Saar: Madwoman in the Attic | In this exhibition Saar masterfully subverts the traditions of 19th Century Gothic literature and Colonial art through added drops of surrealism and insurgent perspective. Delving into the complexities of insanity Saar peels the Victorian madwoman from yellowed texts and transplants her into the visual plane of portraiture. By these means these women acquire a degree individuality exceeding that of archetypes or supporting characters. Jane Eyre's Bertha, the unnamed madwoman of Charlotte Perkins Gillman's Yellow Wallpaper, Lucy Snow from Villete and other characters are reimagined and fleshed out: no longer simply blanketed with the term 'madness' and forgotten about, their delusions and circumstances are personalized and given expression. Moving away from a literary theme, a section of the exhibition, titled Madness in the Gaze explores the phantoms of 19th century 'feminine afflictions,' such as melancholia and hysteria. Academic papers and historic information displayed alongside Saar's work add to the air of humanistic curiosity and empathy exuded throughout. All this is indicative that for Saar, madness can be confronted and has no stigma or attendant shame. 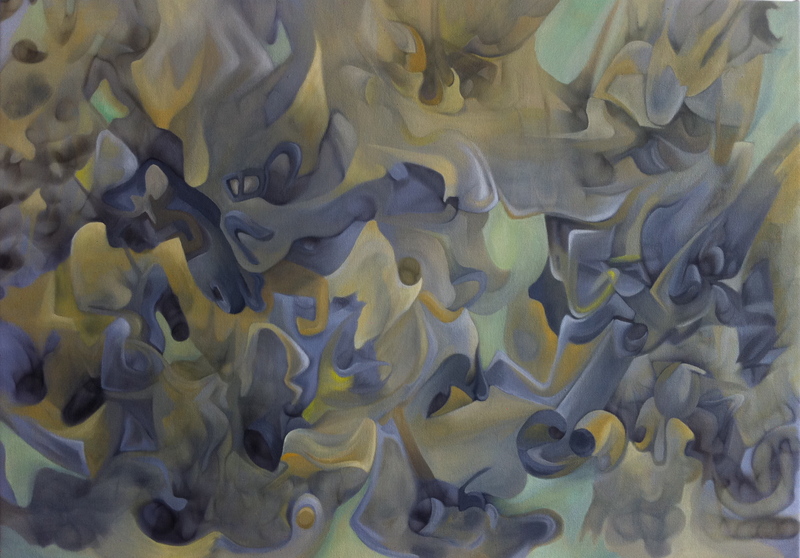 Antonio Muniz: Metamorphosis | These fumage paintings, works on canvas and paper, are created from the evocative residue of smoke subsequently painted with a jewel-tone palette of subtly blended oils transforming the surfaces into rich and multi-dimensional planes of morphing shapes and figures. This form of transcendental art is at the root of many art movements and provides artists like Muñiz the ability to tap into underlying visual truths, which speak to a broad audience. That coupled with his remarkably subdued brushstrokes and inherent appreciation for form and beauty, provide a lush tableau of melded imagery. Within each work there are layer upon layer of morphic figures that seem to emerge and recede from view. This visual bantering with the painting is what Muñiz wants, for the viewer to revert to the purity of their child-like imaginations and see the possibilities and interactions that co-exist there, to extract from the abstract imagery a figurative narrative that may (or may not) be there. The play of spatial relationships between the visually disparate planes on the surface of the canvas and the metamorphosis of negative and positive space create visual illusions of imagery that shift continually. It makes it difficult to return to an area of a painting and see the same thing twice.